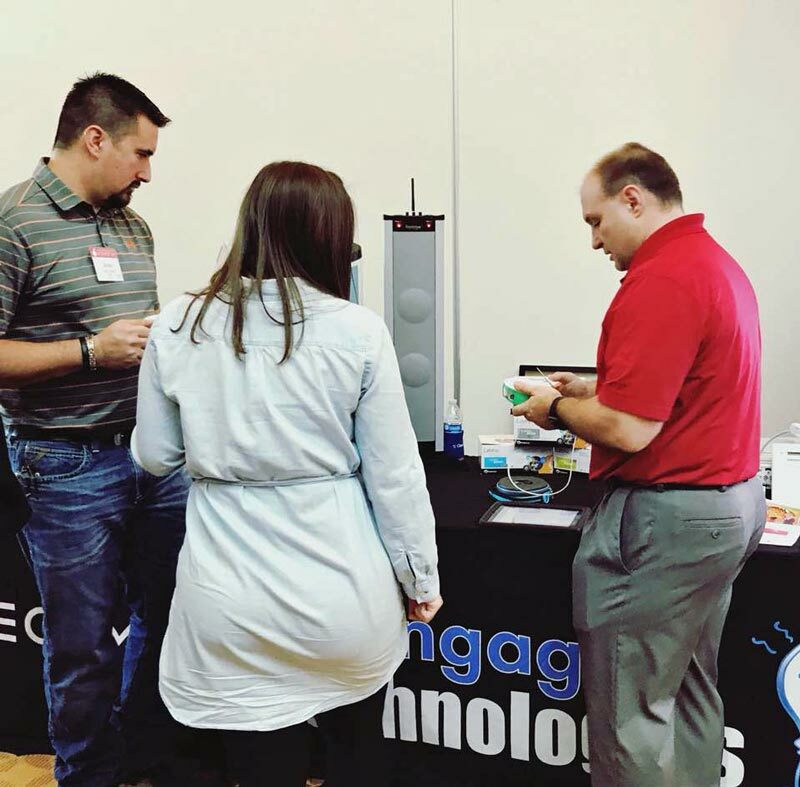 Our Clear Touch interactive panels were a hit at the Kansas education conferences we attended early this month – the MACE (Mid-America Association for Computers in Education) 2018 conference on March 1st and the Kansans Can and Do! Symposium on March 5th & 6th. 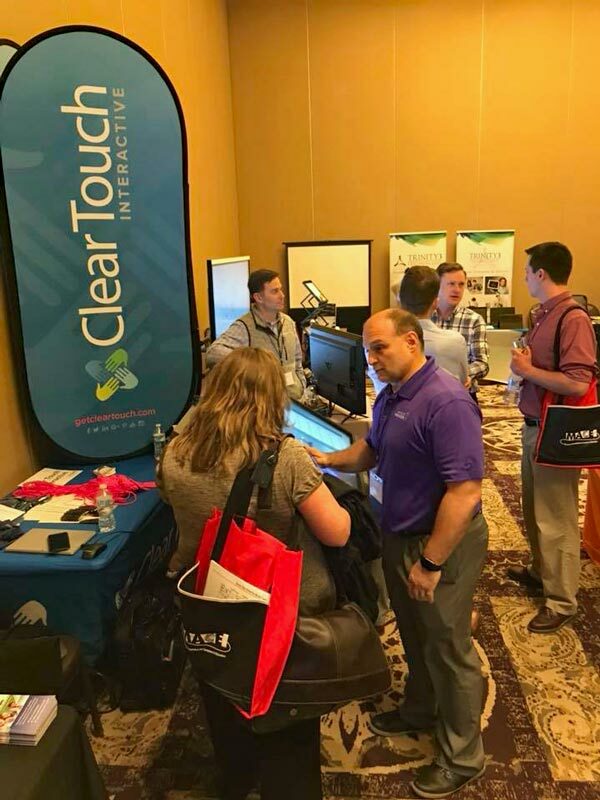 At both conferences, the Clear Touch interactive panels were a big hit. More and more schools seem to be weighed down by projector upkeep and are looking for low-maintenance brilliant displays that flat panels provide. It was simply hard for attendees to pass buy a giant flat panel turned over on its side with a table stand. It is even more enticing when the content is split into four different learning zones! 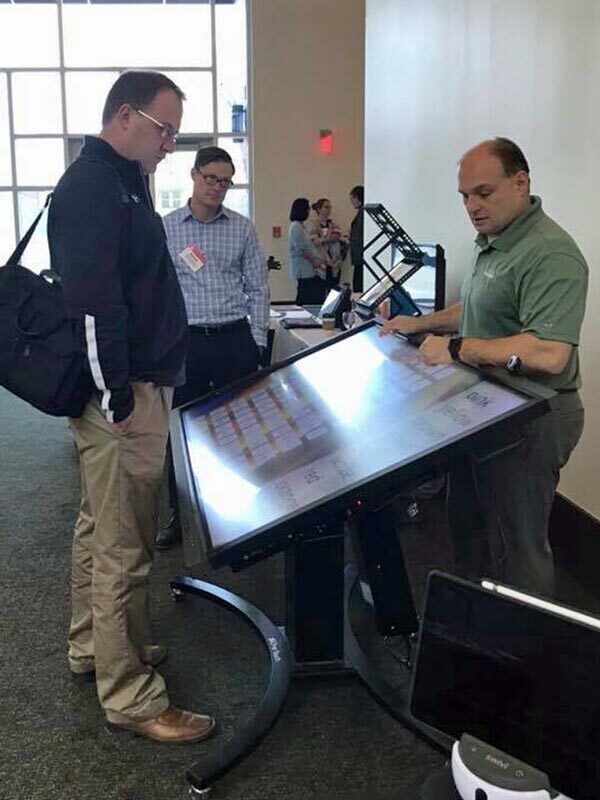 Conference attendees loved the ability of the Clear Touch interactive panels to create different zones with different areas of learning at different rates and activities. The table stands can also bring the activities to a level that is easy for all sizes of learners. Grabbing more attention on the Clear Touch panel were the MultiTeach Lesson Type templates. Rather than just having a number of pre-made lessons (which they also do), the MultiTeach software contains Lesson Types like Match, Groups, Arrange, Cards, Quiz, Scramble, and more. These Lesson Type templates allow you to use your content to quickly make a MultiTeach lesson. Using the four zones, a teacher could easily have 4 students (or groups of students) working on four different lesson types made with the same content. All of this with no annual software fees! One of the latest updates to the Clear Touch interactive panel even allows students to scan a QR code that sends the current image on the flat panel to their device. This is a great way to share lesson notes, homework details, or simply a positive note to take with them at the end of the class period or day. 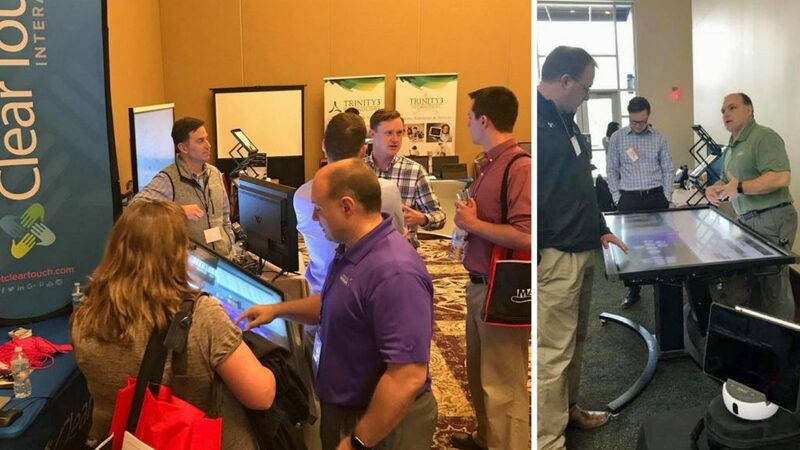 The Labdisc Portable STEM Lab was another technology that caught the eye of conference attendees. These small round discs really pack a punch, containing a large number of data collection sensors that are incredibly easy to use for both students and teachers alike. Attendees loved the different live experiments that could be completed and the data that could be easily collected and analyzed by students. 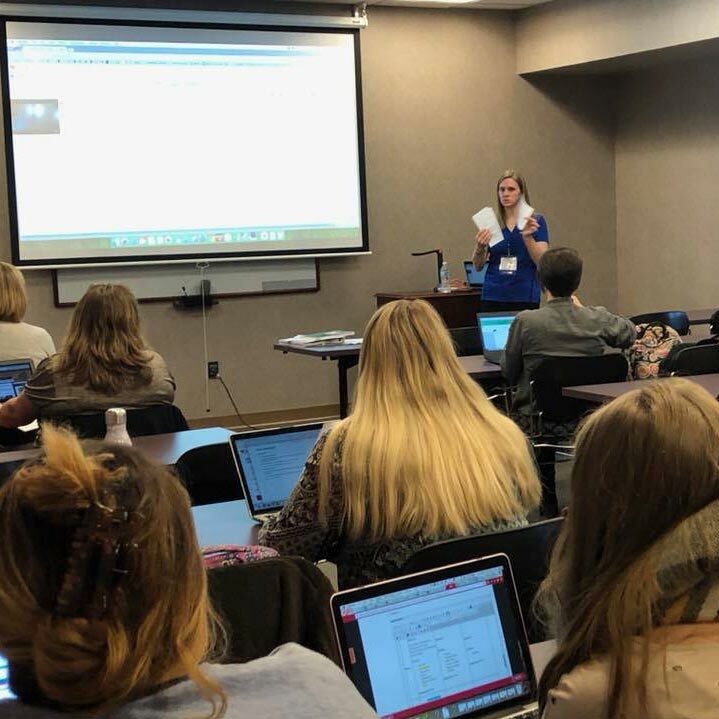 Kate kicked off the morning of MACE with her presentation, “GradeCam: The Perfect Sidekick to a Superhero Teacher.” Kate had a blast sharing how GradeCam can make quick work of grading while still providing easy access to data to support instruction and learning in the classroom. 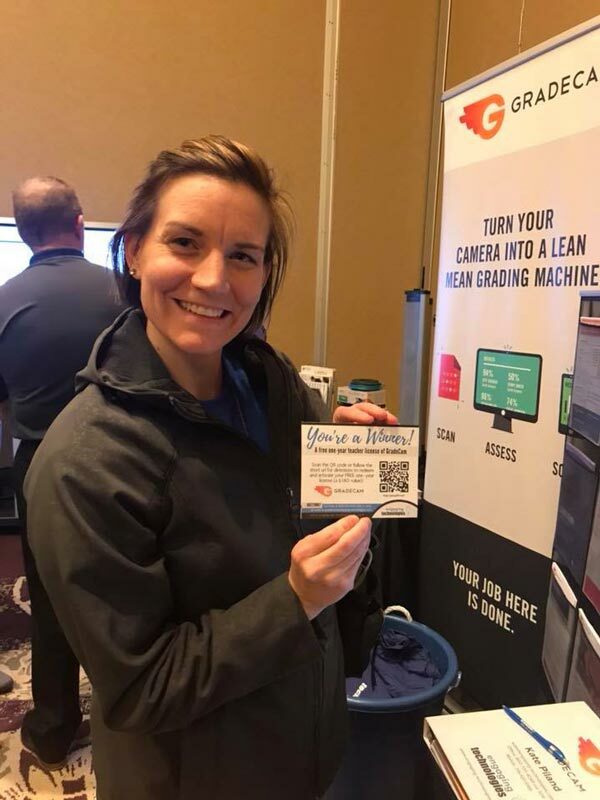 (Kate always seems to have a blast presenting GradeCam because she LOVES GradeCam and all that it can do for teachers and district data managers!) Five lucky teachers won a free year of GradeCam and we can’t wait to hear about all the benefits they’ll reap with GradeCam as their superhero sidekick! 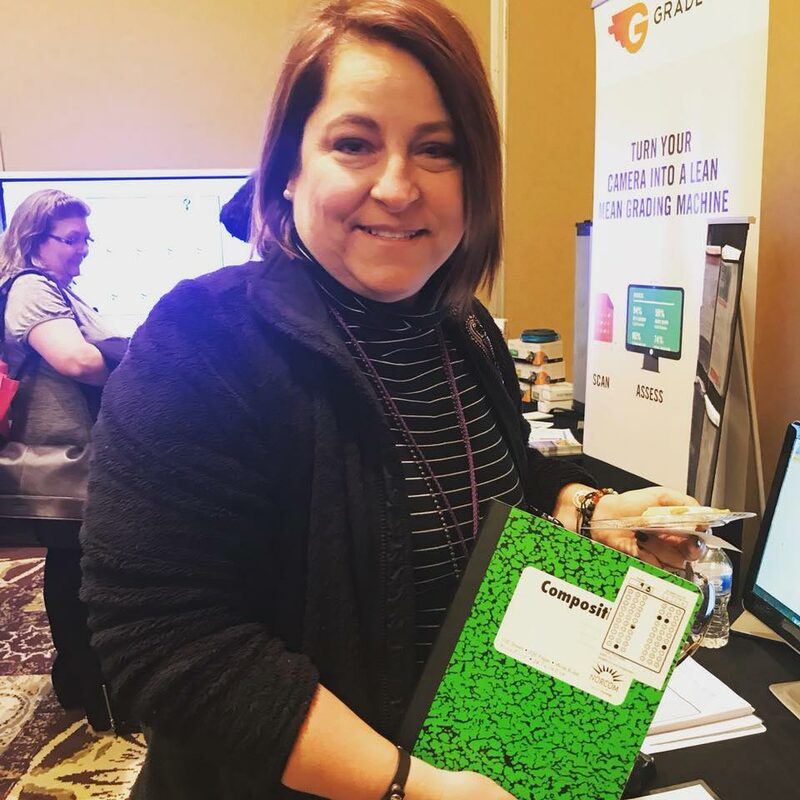 Kelly LeClair, from Mulvane Middle School, is super excited to share about GradeCam, particularly using the Score Assignment form for journaling. 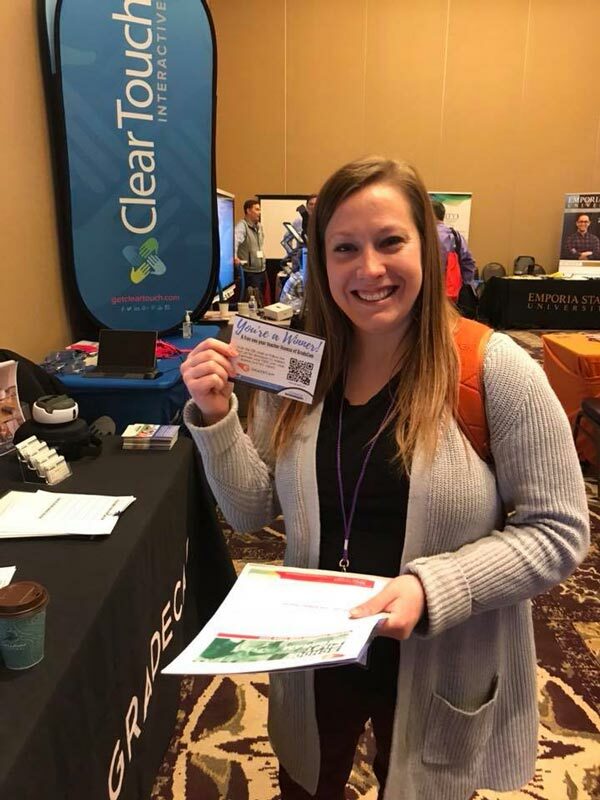 Carissa Williams, from Nemaha Central Elementary, is excited to try out the Rubric question type for her classroom writing activities. Gwen Atkinson, a science teacher at St. Marys Senior High in the Kaw Valley school district, is pumped about putting GradeCam to work. Because all of us have Kansas roots, attended college in Kansas and taught for years in Kansas, we really love the opportunities that these Kansas conferences provide to catch up with everyone! It was exciting to see and hear about the changes that are taking place in Kansas education as we chatted with old friends and built new connections. The Kansans Can And Do! Symposium left us feeling the excitement in the air from participants who took part in sessions in support of the initiatives behind the educational goals and redesign ideas of Kansans Can. These Kansas conferences were a great way to start off the month of March. We’re all looking forward to our next big conference, NETA 2018 in Omaha in April! We hope to see you there!